First up for today is a possible swing trade setup on EUR/JPY‘s 4-hour chart. The pair recently bounced from the 105.50 minor psychological handle, and it looks like it’s heading towards its former support area near 106.50. 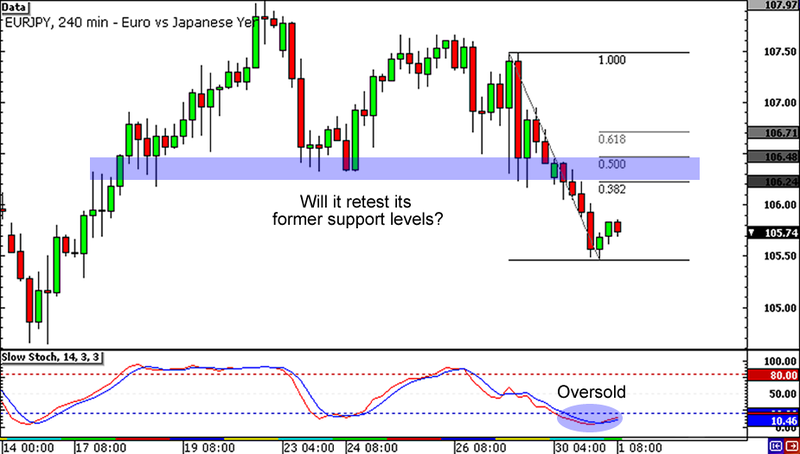 Will the Fibonacci levels provide additional resistance for the pair? You can place your short orders at the Fib levels if you’re short on the euro, but make sure you also keep your eyes on the oversold Stochastic signal! Brace yourselves for another Fib play! 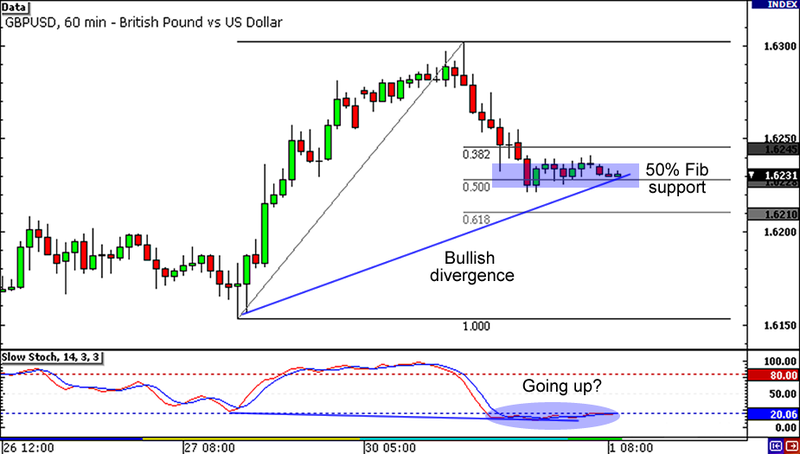 GBP/USD is consolidating around the 1.6230 area, which is right smack in the middle of the 38.2% and 50% Fib levels. Add to that a bullish divergence and an oversold Stochastic signal and you got yourself a pretty neat setup! A stop below the Fibs and the rising trend line is a good idea if you’re planning on day trading Cable today. 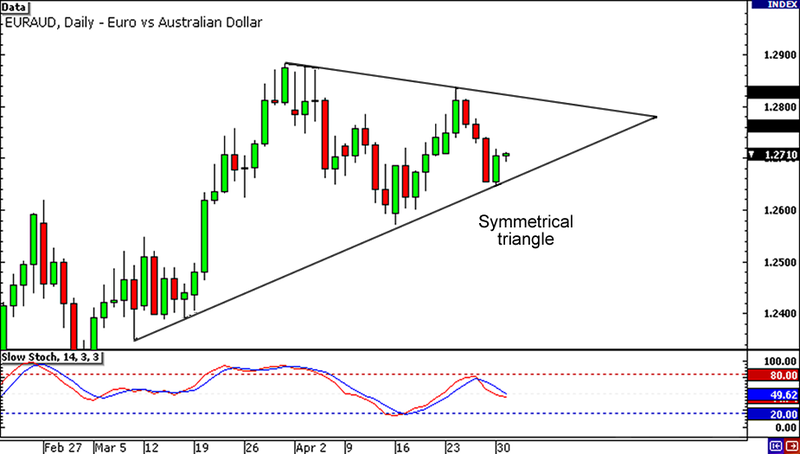 Last up for today is a simple symmetrical triangle setup on a daily chart. EUR/AUD broke its string of losses around the 1.2650 handle, and it looks like it’s about to test the falling trend line. Even Stochastic is on the middle ground for now, so waiting for a triangle break might be a good idea. Those who are long on the euro could buy now and wait for the pair to hit the falling trend line, while the euro bears could also place orders at the 1.2800 area.